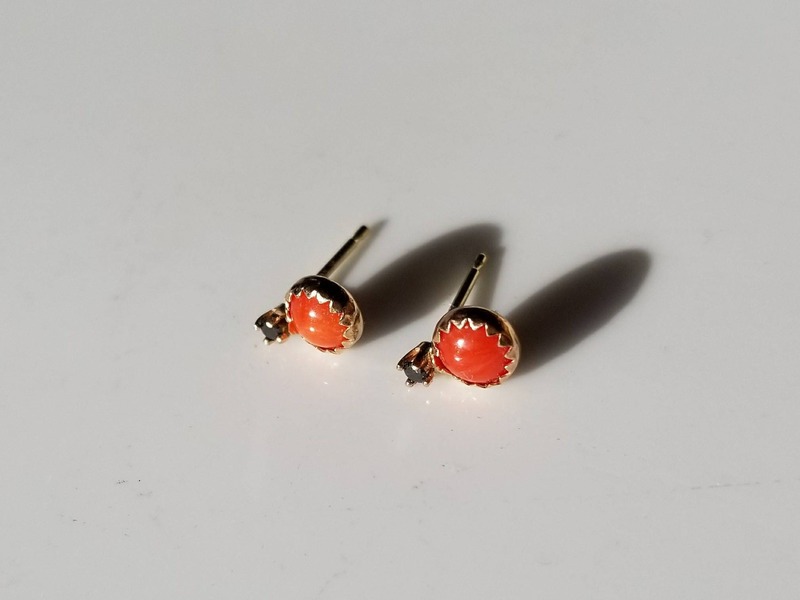 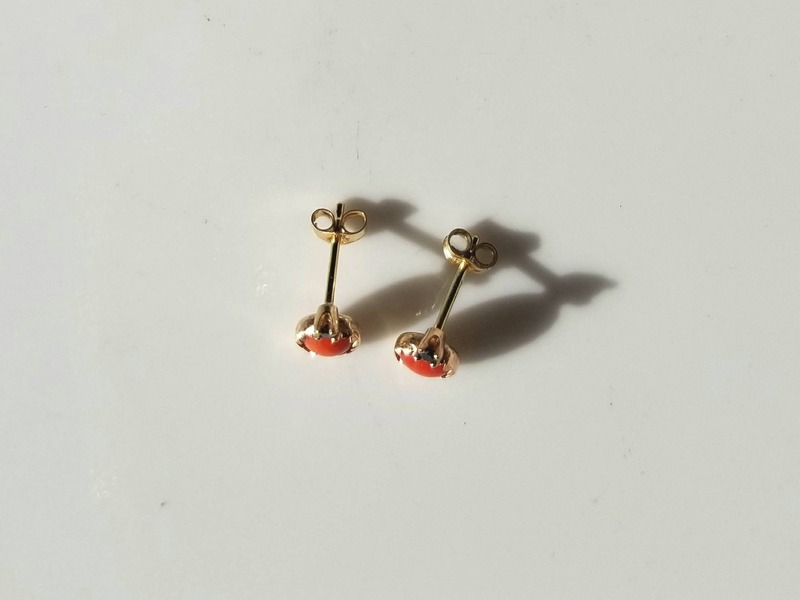 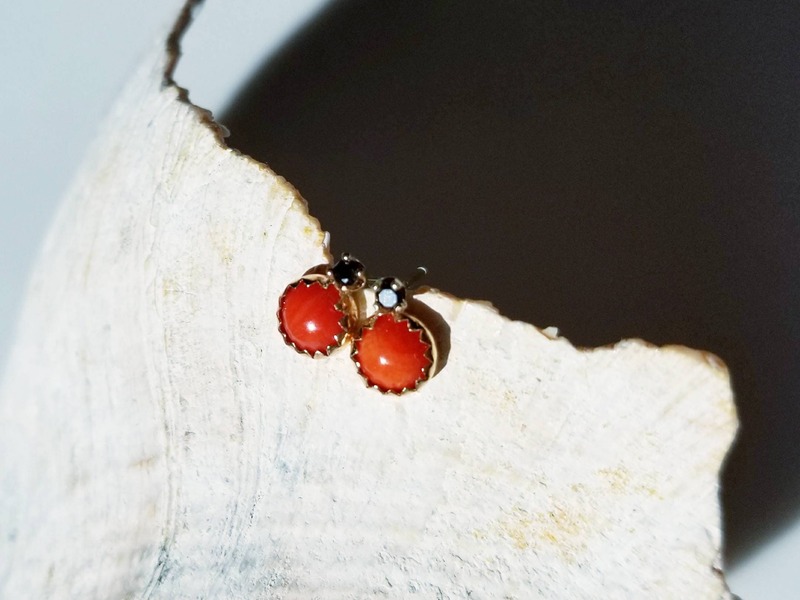 Intriguing ladybugs coral and black diamond 14k gold stud earrings. 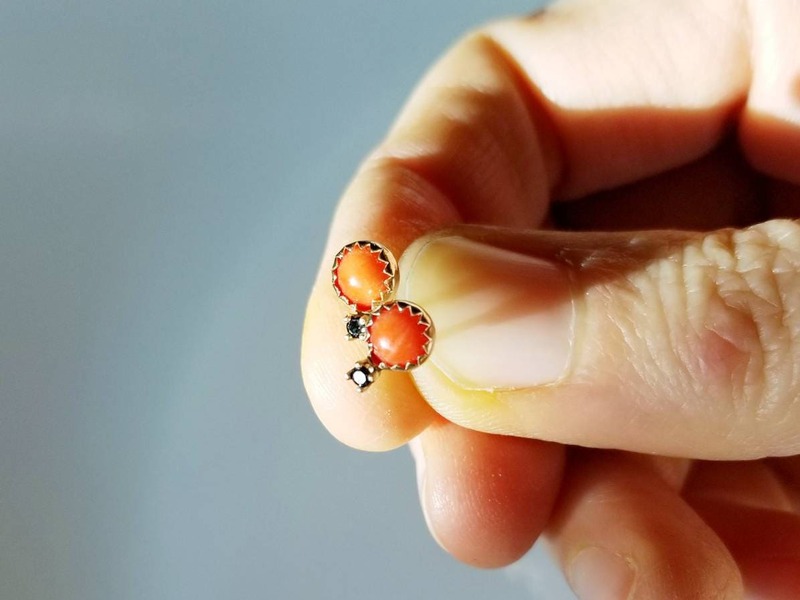 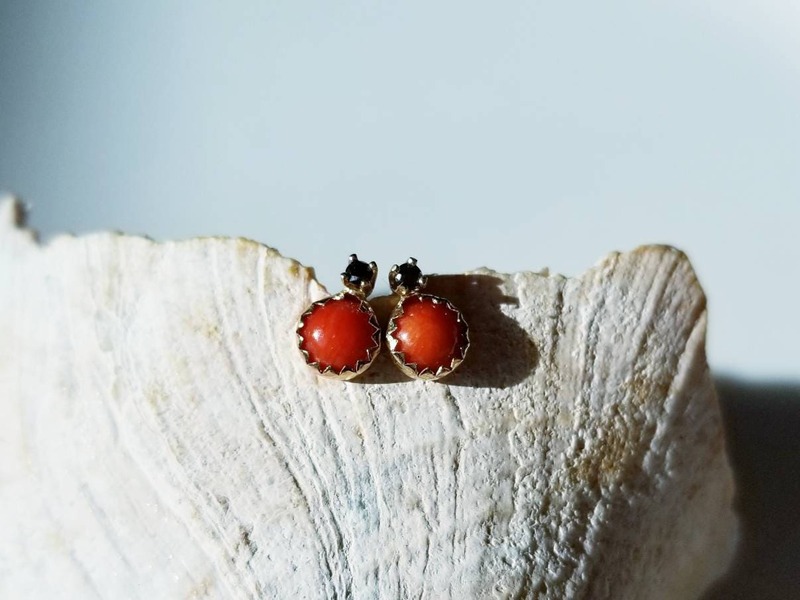 I was inspired to create these earrings when a ladybug moved into my studio. 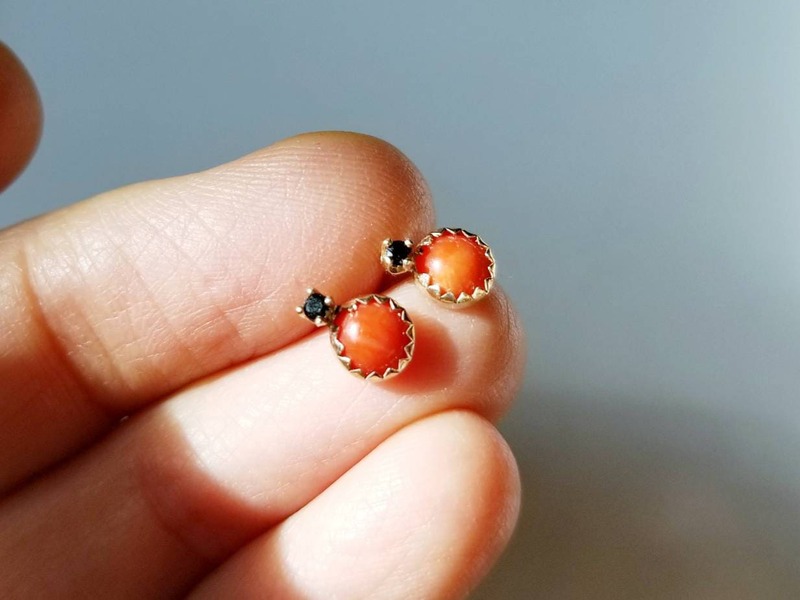 These little earrings are sweet and eye-catching. 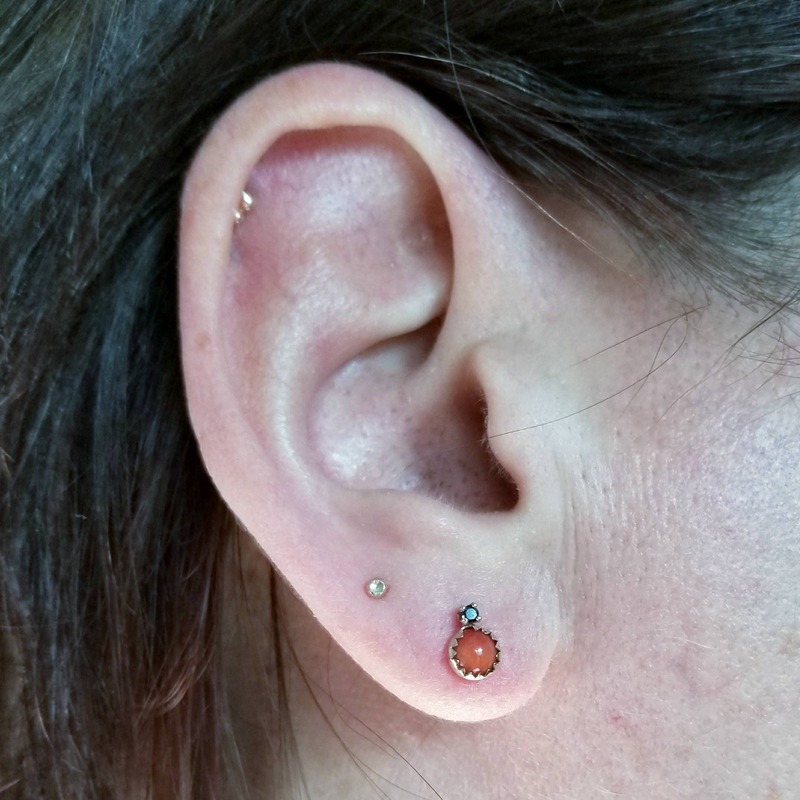 The diamonds are dark and sparkly, full cut and secured in four prong settings. 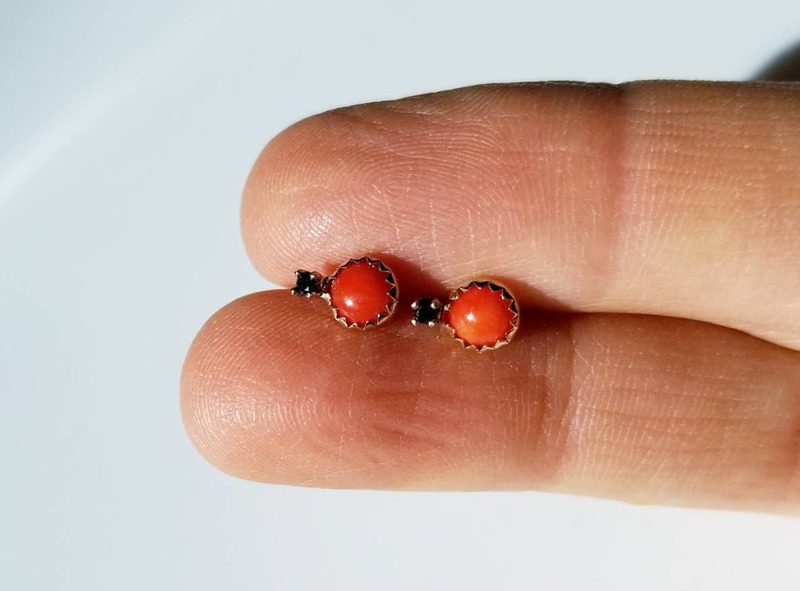 The natural 5mm red corals have a nice red color with slight variations and are set in serrated bezels. 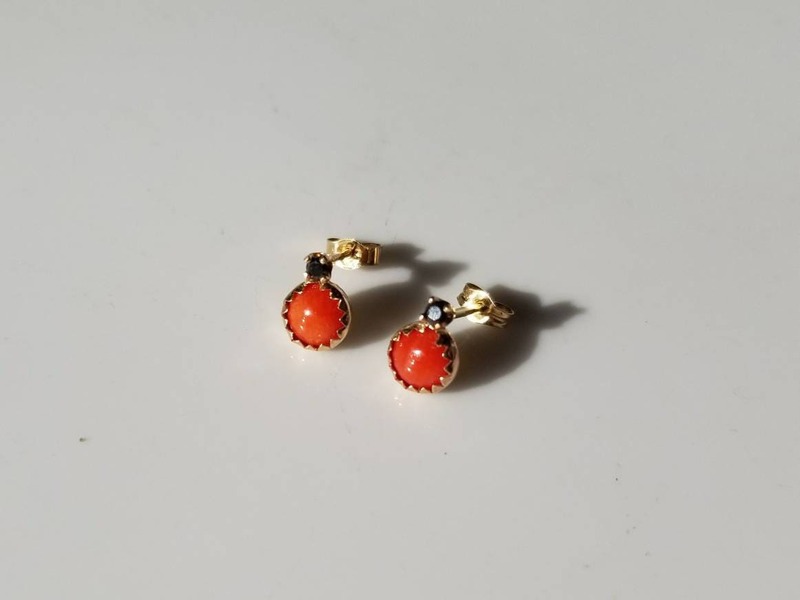 They are subtle, elegant and full of sparkles . 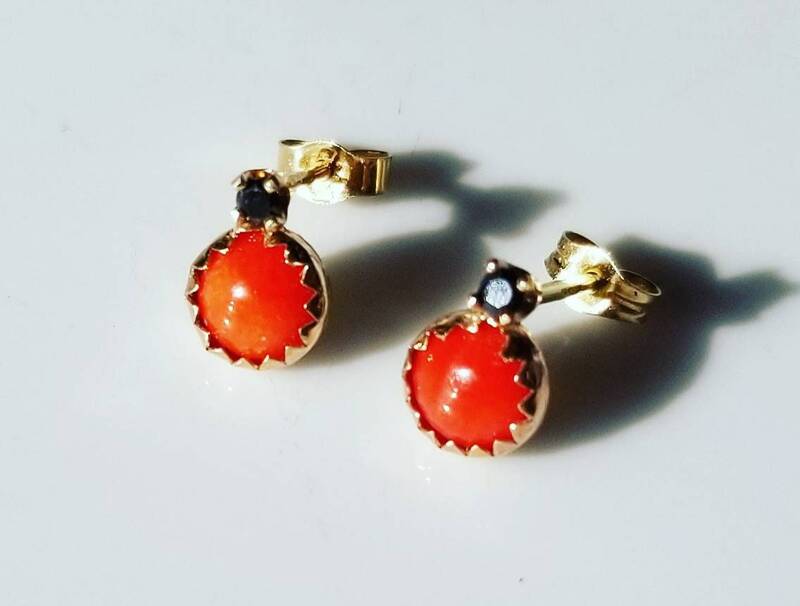 Please note: Due to softness, coral should be worn with care and chemicals, heat and abrasion should be avoided.